winning team takes the pot..
Argyle are a 4 Piece Band from Ramsgate, blending elements of Indie, Folk & Rock. Fronted by singer & writer Jake Argyle, the band are individually influenced by many different artists and bands, everything gets mixed together with Jake’s original idea and the tracks get built into what you hear live. 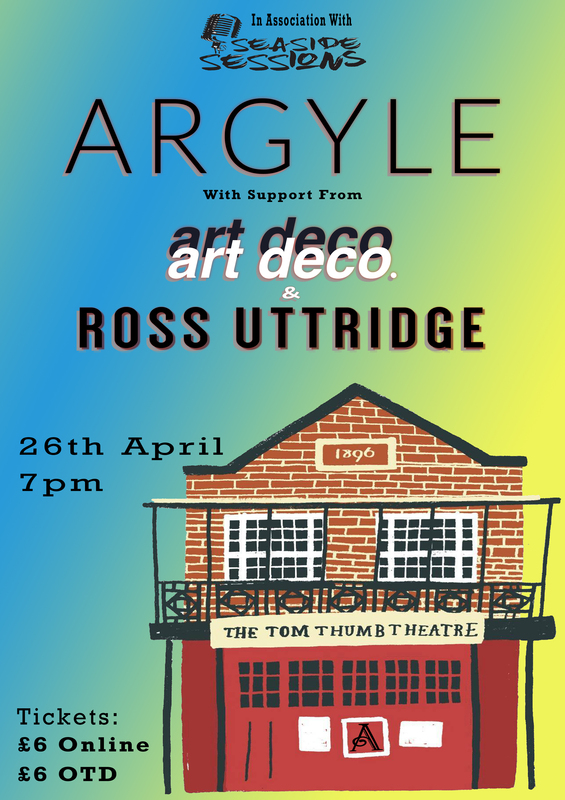 Support for this show comes from super talented locals; Ross Uttridge & Art Deco. Ross Uttridge is an acoustic songwriter playing songs with an upbeat feel, bound to get you singing his catchy hooks and tapping those feet! Art Deco are a 4 piece band providing flat out lo-fi indie vibes, expect jangly guitars, thumping drums, and real lad-ish lyrics. 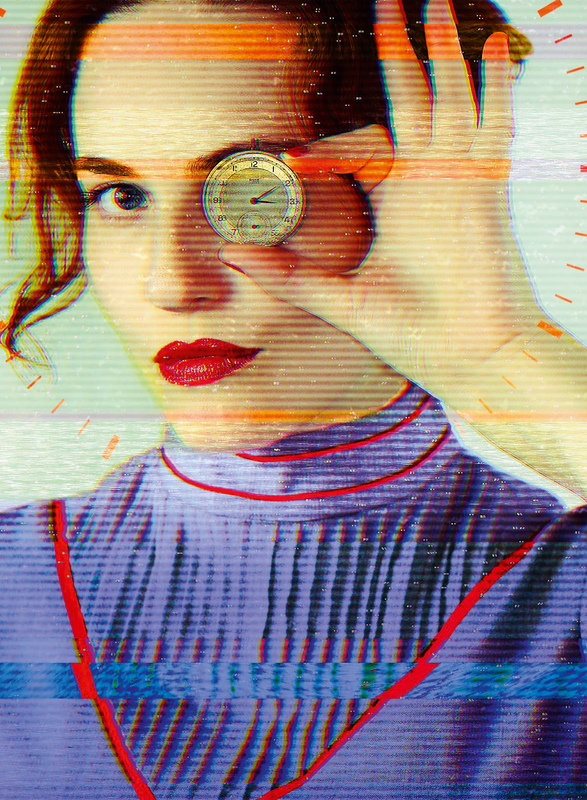 Wake up… it’s time for O.S.T #3! 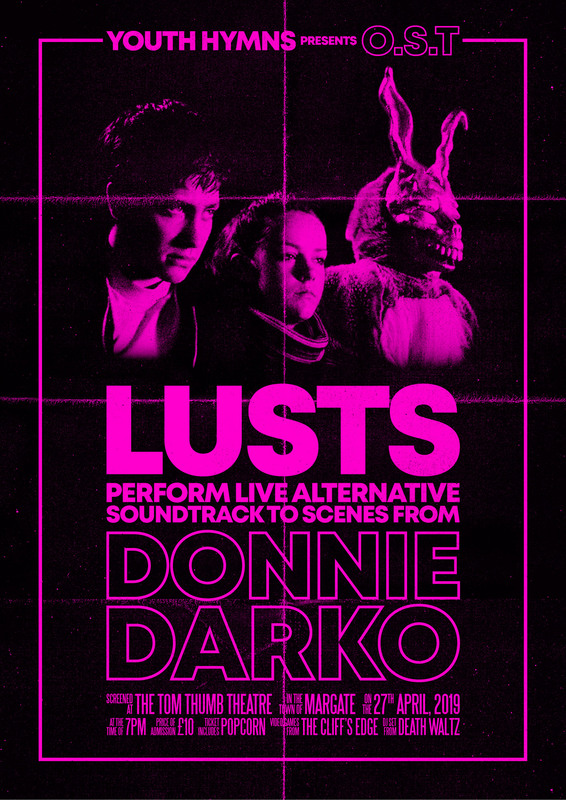 After the madness that was our Halloween Evil Dead II show, we’re back with a ’88-themed classic: Donnie Darko. Gorge yourself on popcorn, while post-punk duo Lusts take to the stage, reinventing the soundtrack to selected scenes – totally live. Expect another awesome throwback video game experience from O.S.T teammates, The Cliff’s Edge. Death Waltz / Transmission will be bringing a killer DJ set to see the night in & out. 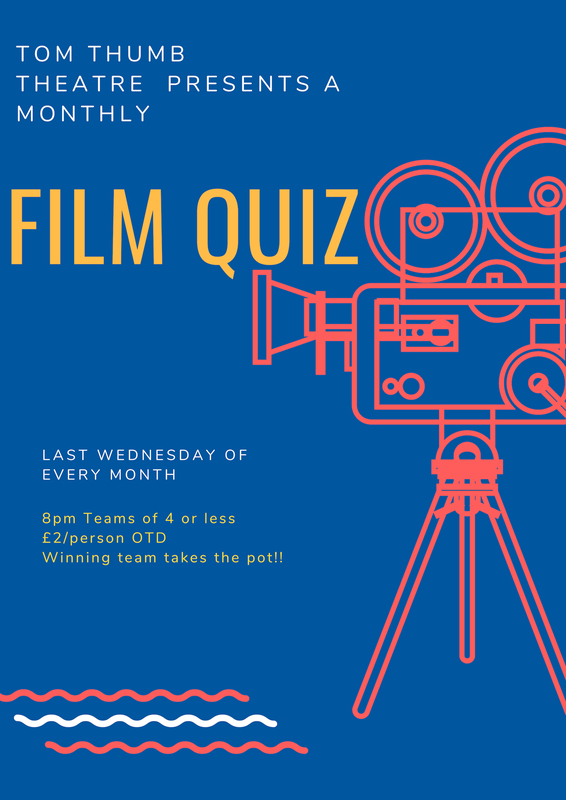 Don’t forget, before the performance, you could win a phenomenal prize with our certifiably special quiz. We’ll also have trailers & commercials from 1988 warming you up for the main event – with free hot popcorn on tap. 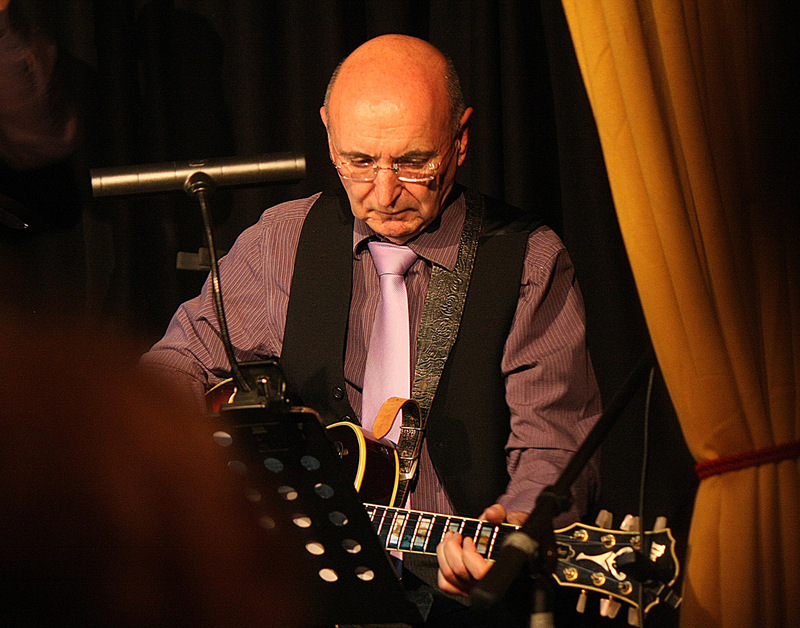 Another great night of Jazz in prospect featuring two guitarists when finger- style wizard, Dave Reay joins Tony Hudd. Andy Wall will be on double bass. These three play together with a real empathy. Guido Spannocchi is a Vienna born London based saxophonist currently about to release his third album. His previous albums “Ahead Only” in 2017 and “Terms & Conditions” in 2018 have gained him international press reviews and radio airplay. Together with his trio Guido has toured through Germany, Austria, Slovenia, Italy, France and the UK in spring 2017 as well as in summer 2018 and has had a major tour in Brazil in January & February 2018 alongside film works in Los Angeles 6 New York in 2017 and hosts several regular nights in renowned Jazz clubs in London. The repertoire and compositions focus on eastern European lullabies combined with Brazilian and world rhythms in a unique harmonic structure, these come to live particularly through the interplay of the band members. Consisting of alto saxophone, double bass and drums this ensemble is as fragile as it is transparent and never ceases to take the listener on a journey through uncharted territory. ‘Dapper Dollman’ brings you An amazing Magic show to make you scream with delight! Fantastic fun for all the family. 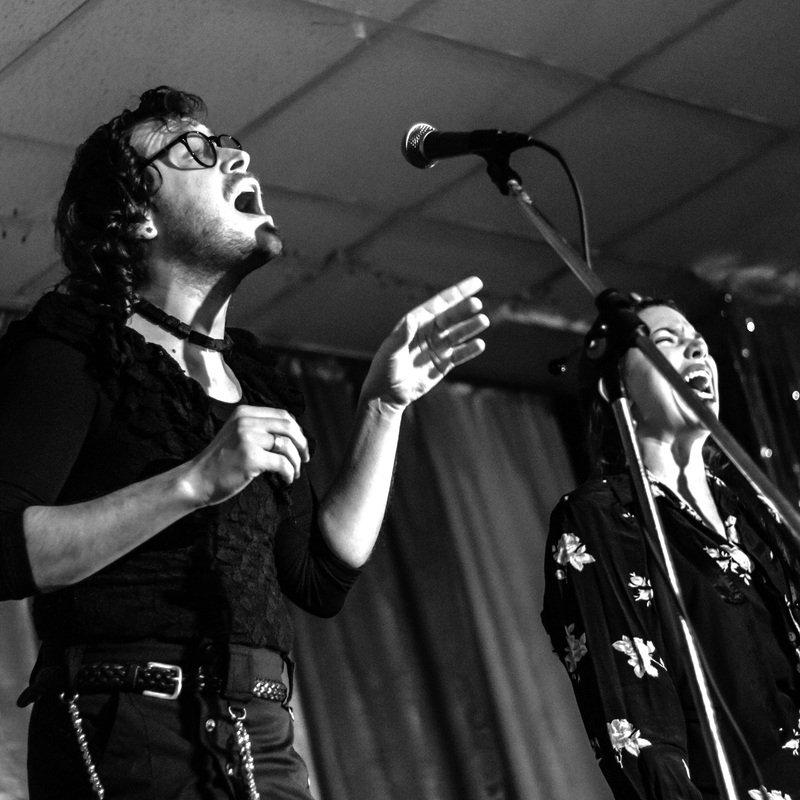 Margate’s ‘broken folk’ duo strip folk back to its bare bones of rhythm and voice. 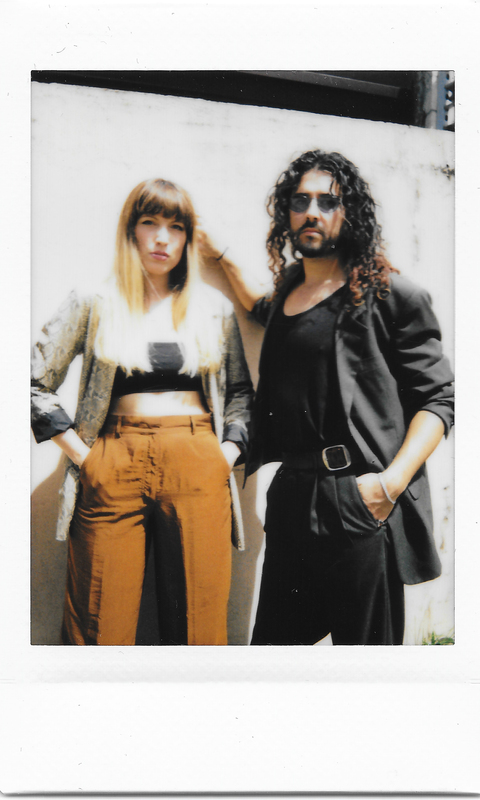 Weaving in influences from flamenco, hiphop and jazz, Lunatraktors rework 19th century street ballads into a “spellbinding” contemporary form. Following the release of their ‘Another One’ EP last year; Thandii have been squirrelling away at new music in their Margate home and they’re about to share it for the first time ever at The Tom Thumb. ‘Wacky Wednesday’ is a comedy night at The Tom Thumb, it happens every third wednesday of the month. We invite diffrent comedians to perform for you, this month we have…. The award-winning feminist, atheist, polyamorous comedian and writer for Have I Got News For You, puts away all those years of coquettishness and gets off the fence. Kate has sworn, flashed her hairy armpits at Eamonn Holmes, shown up in pyjamas, called a Daily Mail columnist “Dad” and shouted at a nun all on live TV. That’s when she’s not insulting organised religion or the monarchy. But is she the one with the problem? Lots of angry men with very poor grammar on the internet think so. She’s actually a nice quiet homely sort. In her new one-woman show, Kate lifts the lid on her reputation as a provocatrice extraordinaire and asks: where did it all go wrong? Kate has appeared on Question Time, The Big Questions, The Moral Maze, This Morning, BBC News, Sky News, Woman’s Hour, Good Morning Britain, The Nolan Show, The Jeremy Vine Show, Afternoon Edition and Newsnight. 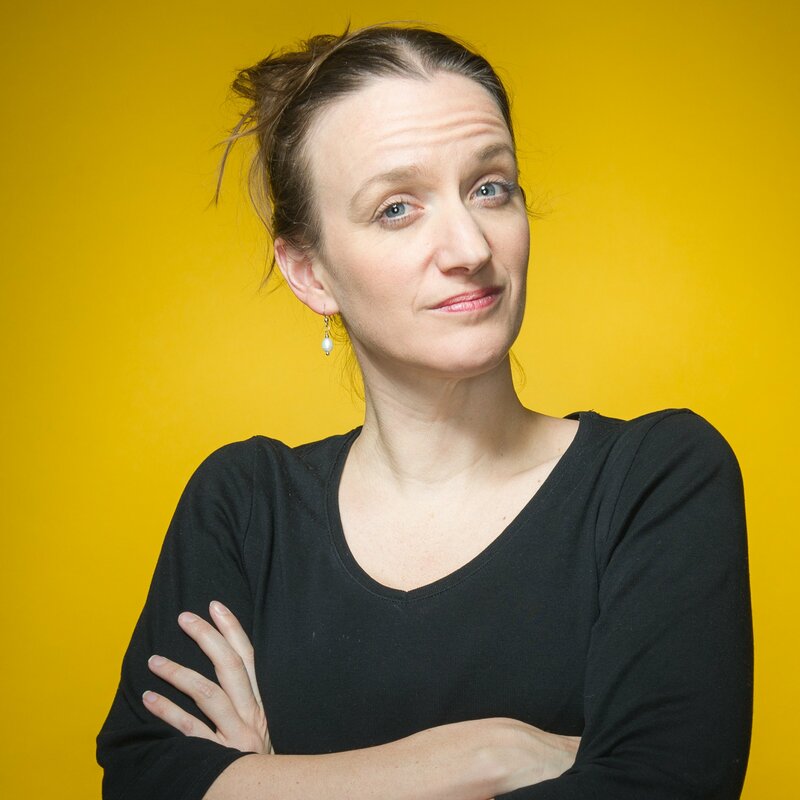 She was a 2013 ThreeWeeks Editors’ Choice award winner at the Edinburgh Fringe (where they referred to her as a ‘Fringe Institution’) and is a writer for the UK’s most popular political comedy show Have I Got News For You? and BBC3’s BAFTA-winning The Revolution Will Be Televised. She writes a regular humourous column for New Internationalist magazine and has also had columns in The Daily Mirror, The Guardian, The Independent, The Telegraph, Cosmopolitan and Stylist. Created by Miriam Gould with Dramaturgy by Alex Scott (Little Bulb Theatre) Empty Room was developed over a number of years from biographical material and original music from Miriam’s jazz musician parents, saxophonist Sal Nistico and singer Rachel Gould. Sal Nistico (Count Basie, Dizzie Gillespie, Buddy Rich) was known for his speed and articulation as a soloist and was lead tenor in the Woody Herman Big Band in the early 1960’s after which he became more of a bebop/hardbop player. Rachel Gould (Michel Graillier, Benny Bailey) still tours the world and is the last singer alive to have recorded with Chet Baker. Naïm Amor has been living and playing music in Tucson since 1997, after a move from his native Paris. 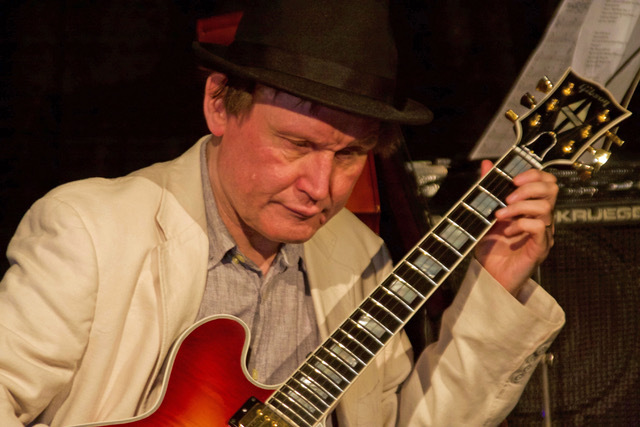 He has constantly shifted in and out countless musical scenarios over the past twenty years, from solo act to leading small combos to leading big bands; from playing jazz to French pop to southwestern themed originals to rock n’ roll and his signature ‘Soundtracks’ recordings. 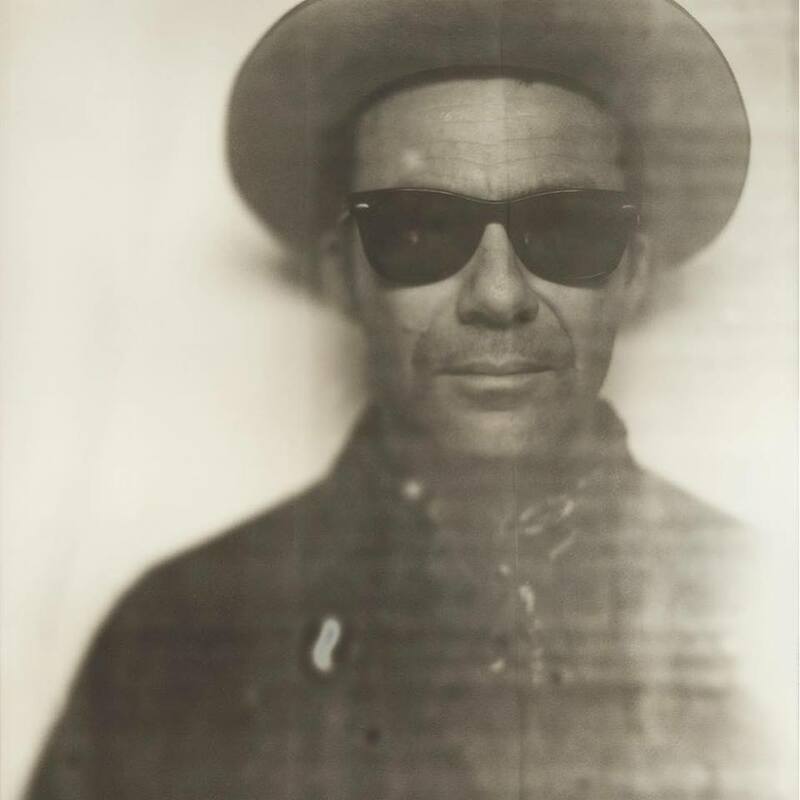 In addition to his long running on and off again Amor Belhom Duo, he’s been on the edge of the Calexico orbit since their early days, has played with Howe Gelb and Friends of Dean Martinez. 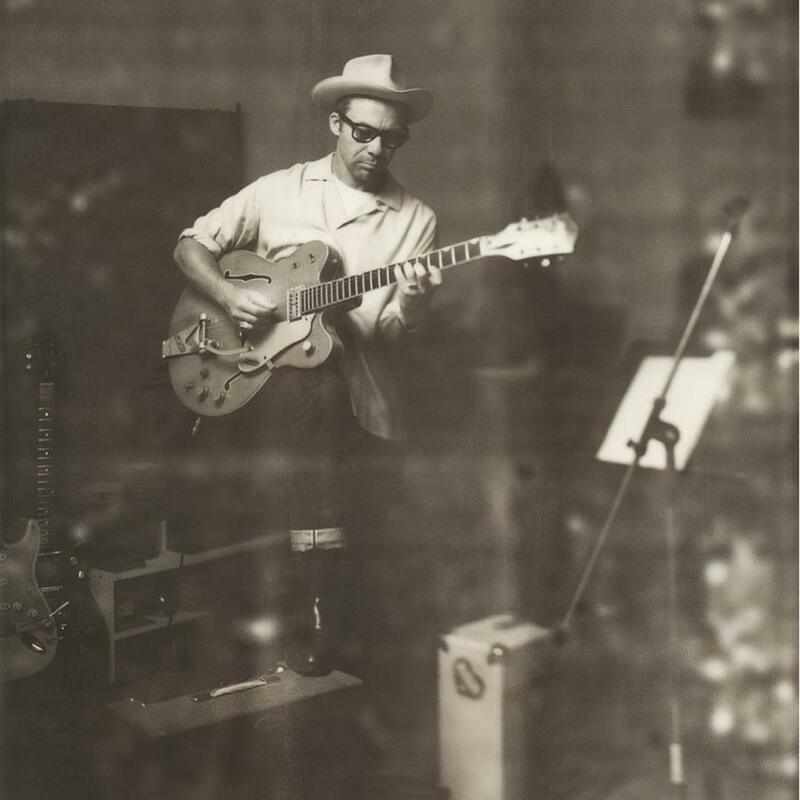 His latest album, ‘Moments Before’, recorded by legendary producer Jim Waters, includes collaborations with John Convertino (Calexico), Thoger Lund (Giant Sand), Tommy Larkins (Jonathan Richman) and Nick Coventry (Hot Club of Tucson).